What’s the Secret to Hiring and Keeping a Quality Staff? One of the biggest challenges in retailing today is finding, hiring and training qualified people. Today’s employee turnover is higher than ever. Independent retailers who strive to be the best and sell the most recruit and retain the best. But here is a catch: the best people aren’t always looking for work. I am going to share with you some of the best tips to find great staff and keep them working for you for years. There is a laundry list of hiring tactics such as employee and customer referrals; signs in your front window and at your cash register; community networking; posts on your website, the online job sites and social media; government programs; job fairs at schools, colleges and universities; and speaking with salespeople you meet when you’re out shopping. But most of you know all that. Some of these strategies work well and fast, while others take time; some get you good people and others do not. So keep working on all these ways to post that you are looking for sales people don’t pick just one or two methods. Always be hiring. You can always find an opening for someone who is very good. However, there is also a considerably different approach hiring quality staff. You may never have thought of this before, but it has become clear to me over the years of working with independent retailers, that when you have new hires and staff who display ownership, you have the right people working for you. Ownership is an attribute that can make or break a retailer. If your staff isn’t displaying ownership, they may not be working with your best interest at heart. In simple terms, ownership means the act, state or right of possessing something. Business ownership is displayed when a person has either money invested or is connected emotionally. Finding employees with ownership, may very well happen by accident. You hire a person that displays proactivity, while getting things done and done well.. You want more of these types of individuals working for you. And for those employees working for you right now that do not display ownership, start training them with ownership in mind. I’ll give you a few tips later on in this post. To work for us you must want to find ways to do things better, faster, and more cost-effective. To work for us you must exhibit an ambition to grow our business one customer at a time, one interaction at a time, and to delight and impress each customer. To work for us you must exceed our expectations in attention to detail and your efficiency. Lets have a look at interviewing for ownership. The process goes like this, screen new hires while thoroughly testing applicants and meeting each one of them personally. Here are some of the traits you are looking for: a great attitude, people skills, common sense, communication skills, leadership and ownership. During the interview, ask what ownership mean to them and ask for an example of how they have taken ownership for something in their previous work, school or family. If there is no response, they do not get it. Finally ask yourself this question: Can this potential new hire effectively be integrated into the store’s sales and customer service culture? Lets have a look at the training you should provide under this idea of ownership. First steps are setting the outcome you want from your new hire and giving them performance guidelines. Let them put their own personality spin on the outcome and there you have it: the ownership component. The 4 key training areas for your staff are how to sell; how to deliver best customer service; product knowledge; and store procedures. Remember what’s important to you is important to your staff. I encourage you as the owner to get out on the sales floor daily, show yourself interacting with customers. Observe what your staff is doing and give feedback accordingly. Praise in front of other staff and give negative feedback in private. As management you should strive to encourage self-motivated employees to display ownership because you do not want total control all the time. It doesn’t work. It’s exhausting. Establishing clear goals and performance levels and accountability are the key first steps. Along with advertising, hiring and training employees with ownership and being their own person is what you want and what will guarantee you hiring better staff and staff staying with you for a very long time. I asked Diane Petryna, an independent retailer and owner of Take a Hike in Thunder Bay, Ontario, to share her thoughts on finding and keeping good staff. Here is what she had to share about her experiences. “Because people’s lives are complicated, finding and keeping great staff who are able and willing to work whenever and how often you need them is an ongoing challenge. Over the years I’ve recruited many wonderful employees right here in the store. As existing customers, I knew they already loved my store and products and because I make a point of building relationships with our customers, I know their personalities ahead of time and have developed a sense as to how they might fit in. Finding and keeping good employees is an art and a science. Unfortunately there are days when there’s paint on the floor and an explosion in the science lab. Fortunately, it’s mostly good. We can supplement employee wages with other things they value such as flexibility in scheduling, sufficient hours of work, product discounts, positive relationships, social events, training, recognition, etc. Sometimes the best thing you can do to keep good employees is to let the poor ones go. This post was contributed by our partner and friend, Barbara Crowhurst. 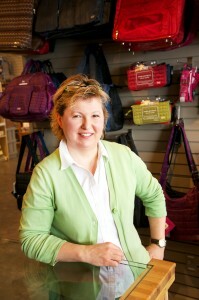 Barbara Crowhurst is the CEO of Retail Makeover and North Americas’ leading Retail Business Coach and Store Designer. She also writes retail specific articles, blogs, e-books and is an international speaker. Her comprehensive and detailed approach to retail comes from years of working in the industry. Her career has taken her from working with some the largest corporate retail stores in North America to consulting with tens of thousands of Independent Retailers.